Freemake Video Downloader is a crippleware download manager for Microsoft Windows to download online video and audio. And the users need to purchase a premium upgrade to remove Freemake branding on videos and unlock the ability to download media longer than 3 minutes in length. However, Freemake Video Downloader for Mac does not exist currently. So if there is any alternative solution like Freemake Video Downloader for Mac users to download online videos on Mac for free? Look no further! Here are top 5 Freemake Video Downloader equivalent for Mac (macOS Mojave, High Sierra, etc)and top 5 Freemake video downloader for windows . iTube Studio best Freemake YouTube Video Downloader alternative on mac is an excellent piece of YouTube downloader software here, which offers perhaps the widest compatibility with video platforms(more than 10000+ sites) and I've yet to find something it couldn’t download. With threaded downloading for faster operation, and the ability to handle all resolutions including the latest 4K UHD resolution. iTube Studio for Mac is a very well featured product for Freemake video downloader alternative and compatible with the new macOS 10.13 macOS High Sierra, Sierra. 100% free download YouTube videos and VEVO videos in HD quality. 1 click download online videos from 10,000 more sites with extension or URL. Record any unable to download videos from any website as you wish. Built-in conversion feature helps you to convert videos to any video/audio formats. Transfer the downloaded and local videos to your Android and iOS devices directly. Download videos or music to iTunes library automatically. 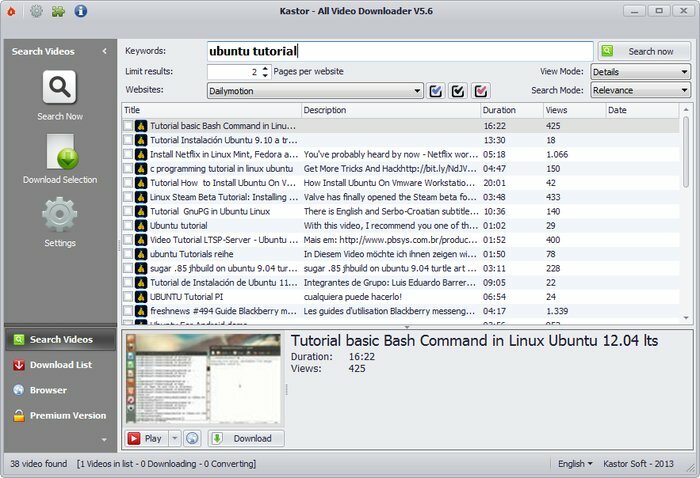 Click to download and install this Freemake video downloader Mac alternative to your computer. When finished, double click the file and drag and drop the icon to the "Applications" folder. After Freemake Video Downloader for Mac has been installed, run this Freemake Video Downloader alternative to its main interface. 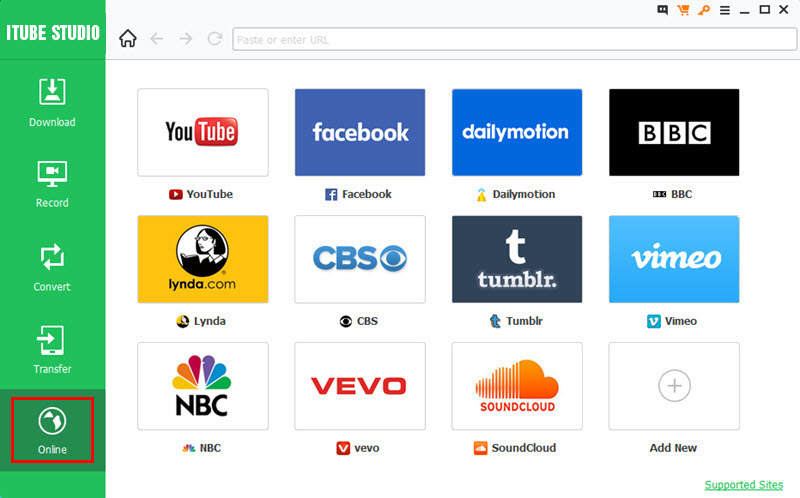 Launch Chrome, Safari or Firefox and input video site address, like YouTube, and then find the videos you want to download. 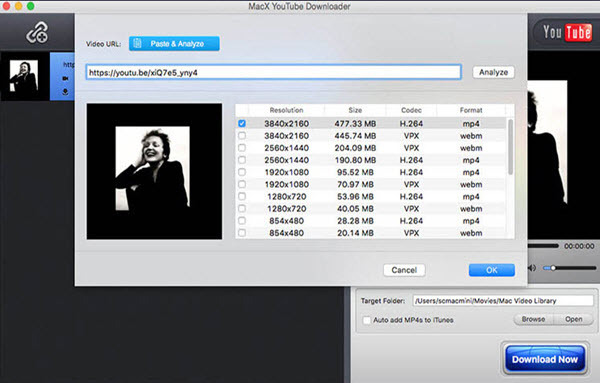 This Freemake downloader Mac provides 2 options for downloading online videos. This Freemake Video Downloader Mac alternative can convert the downloaded freemake videos to any regular video format you'll need. First check the downloaded YouTube videos at the "Downloaded" tab in the "Download" menu. And then click the "Add to Convert List" to add the video to the "Convert" menu for conversion. And open the "Convert" menu and find the video you want to convert and click the "Convert" button to select the output format and start the conversion. Note: After you have completed adding videos, you are free to find other freemake videos on video site and enjoy them. If you want to save another video on your Mac, you can just do the same operation as above to download it. 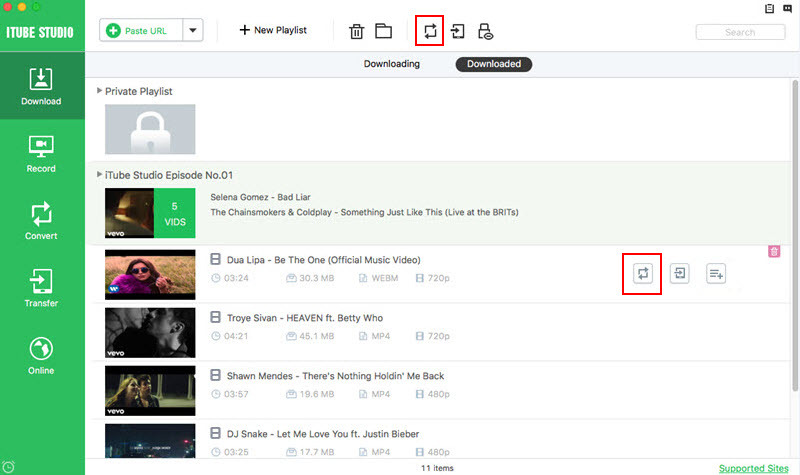 To view the downloading process or check downloaded videos, you can click Downloading or Downloaded button on the main interface of the program. In all, iTube Studio YouTube Downloader for Mac is the best Freemake YouTube Downloader for Mac alternative you can find in the market. It includes almost all features of Freemake YouTube Downloader, but also have its own unique featuers, like One-Click to Download, Download All YouTube Video in Playlist and Channel, Drag-and-Drop to Download, Turbo Mode at 3X Faster Download Speed etc. This is a nice piece of Freemake video downlaoder alternative, currently on version 2.0, along with YouTube this is one of the few software packages that supports several other sites and can convert video to different formats after download, allowing you to use the content on Apple devices, and other mobile platforms as well as standards such as xvid. Another compact but effective Freemake Youtube downloader alfternative, however it is missing the ability to download from other sites other downloaders enjoy. Having said that, it does include a raft of pother options to convert, resize and edit your chosen YouTube videos and the ability to record what is on your Mac screen in real-time. With a decent interface, and allows for batch downloading of, for instance, a playlist should you wish. This Alternative for Freemake Youtube downloader focuses a little more on the conversion aspect of the video, and has comprehensive features covering converting files for use with iTunes and so on quickly and easily. 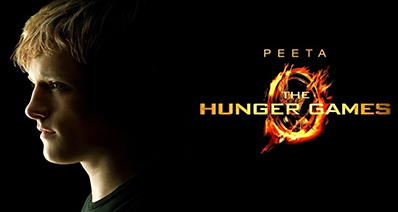 However, it is restricted to YouTube for its download features which are a little disappointing. It does include the useful option to extract audio from a video file, but unless you only download from YouTube, and need to convert everything on the fly as you do so, it is perhaps lacking features in this company. 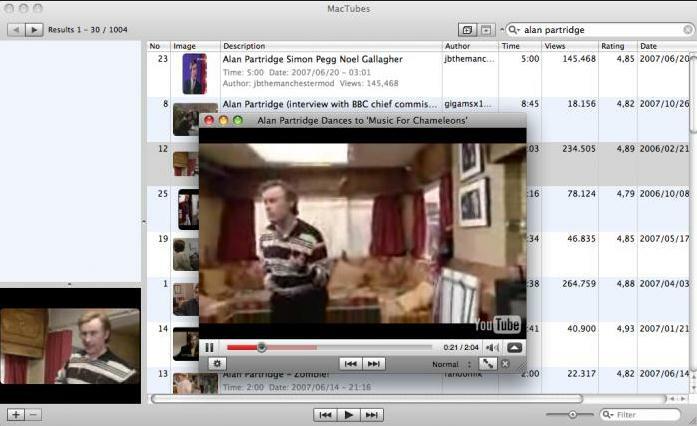 Just to compare, here we have a free package, Mactubes. It has a somewhat limited feature set, but at this price point it would be a little odd to complain too much. So, it is YouTube downloads only, although it does feature its own YouTube player that allows you to build playlists and then download them, and allows you to search for videos directly from within the app itself. To better for your understaning of the different features of these Freemake video downloader alternatives, here we summarize a comparison table for this 5 Freemake video downloader alternatives on Mac. It still manages to be user friendly and although short on features, those it does have it does very well indeed. 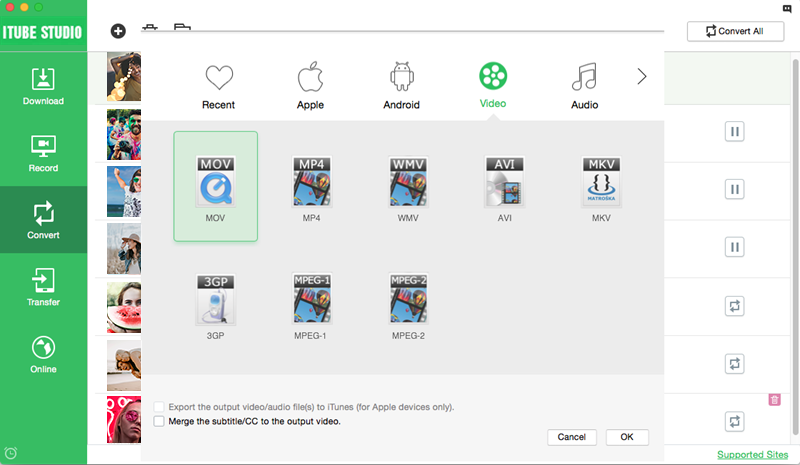 As we can see, the standout package here is iTube Studio Freemake video downloader alternative for Mac. It offers the best feature set for downloading with the widest compatibility, and throws in conversion capabilities to rival the others whilst still being the cheapest of the commercial packages. Add in the 4K resolution compatibility and you have a winner. Honorable mention has to go to Mactubes, a limited package for sure, but the price is certainly right and it does what it was designed for very well. Since Windows users still account for a large quantity of total software market, and Some of the Mac Video Downloader packages are also available on Windows, albeit with slight variations in features and interface design, but there are more alternatives here so we will try and feature something different. iTube Studio for Windows is the Windows version of our Mac recommendation; can it keep up the impressive performance here? It retains the same feature set, threaded downloads for increased speed, up to and including 4K video resolution, massive range of conversion options and a nice and tidy look for ease of use. The one to beat still perhaps. The in browser button makes things so convenient, it really is an impressive package for Freemake video downloader alternative, whatever platform you use it on. Get how to download online videos with iTube Studio video downloader for windows here. As a free video downloader app for Windows, MegaTube is more of a YouTube manager than simply a downloader. 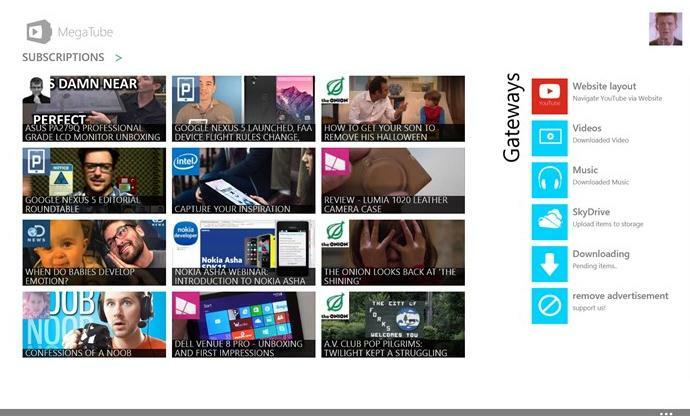 It allows you to watch all your YouTube content from within the app itself, create and manage playlists and so on, in an interface that is typical of the Windows 8 style. 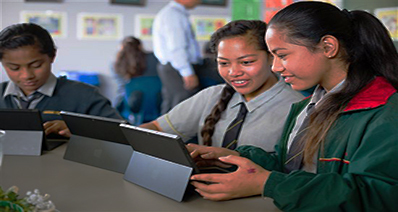 Downloading is comprehensive including the ability to save direct to skydrive if desired. Of course, Windows 8 is needed to run this, which is itself a substantial stumbling block for many, but there is no doubt that for just downloading YouTube videos and nothing else, it does the job. We discussed this piece of video downloader software in the Mac section; again it is currently on version 2.0, and features the same abilities and pitfalls, with a more windows oriented interface. It is a fairly simple interface but it does get the job done. Again, the inclusion of conversion facilities and compatibility with many video sites make this one a good Youtube video downloader for Freemake alternative. This is a very comprehensive Youtube video converter for Freemake alternative , although restricted to YouTube video, has pretty much every option you can think of. 4K video, conversion with the download, batch downloading, it is all there. A myriad of conversion options and sharing functions and a nice, clean interface are highlights here, shame it doesn’t offer a broader range of platform compatibility. This is another package with a raft of features. As a good Freemake video converter alternative, it includes the ability to handle 4K resolution footage, a raft of conversion options and accelerated downloads as well. Looking at the features, you may notice a significant likeness to the Xilsoft product further up the list, and indeed they do seem to share some genes here, but with the features included that is not necessarily a bad thing, however it does share the "YouTube Only" aspect which is disappointing. Collating the options below we can see that 4K resolution is more widely catered to here than on the Mac platform, which is interesting in itself, let’s have a closer look at how the programs stack up. In a repeat of the Mac Freemake video downloader alternative applications, the clear winner once again is iTube Studio, although here it is ran closer by the two very similar packages from Xilisoft and Imtoo, which match the resolution and conversion features but fall away when it comes to being able to download from sources other than YouTube. iTube Studio is the complete Freemake video downloader alternative here whichever platform you look at, again for a no fills YouTube only package it has to be said the free option carries some merit, but its restriction to Windows 8 variants only will limit its audience somewhat I think.